It&apos;s been a while since we&apos;ve reported on the animal kingdom influencing the science and engineering world, but the wait is now over! Introducing the Namib Desert Beetle- the latest animal to have inspired the engineering world with its incredible water repellent shell surface. Although water repellent surfaces aren&apos;t a brand new concept, the way that the shell is designed provides a new insight into possibly reducing the presence of condensation related frost on some of the most important components, such as critical parts of an aircraft, including the windscreen. How Does the Surface Work? Being a desert dweller, it is probably quite confusing at first as to why a beetle would need a water repellent shell- there&apos;s just not that much water around! However, instead of trying to keep itself dry, the beetle&apos;s shell allows the animal to collect any water that is present in the air and move it towards the mouth to keep it hydrated. This is due to a series of bumps- or hydrophilic dots-which are present on the shell that attract water droplets from the air and push them down channels in the shell towards the mouth of the beetle. These channels are coated with a water repellent coating which keeps the water moving rather than pooling on the surface. It is this movement which has impressed scientists and engineers to use a similar system to resist frost. How Does This Help Engineers With Frost Resistance? According to the Biomedical Engineering and Mechanics department at Virginia Tech College of Engineering, this surface technology is essential in the battle against frost, especially when it comes to essential machine components. 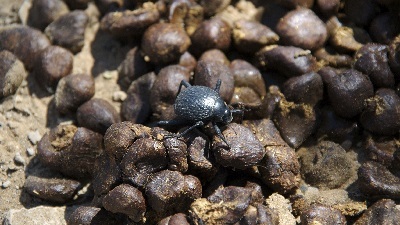 Jonathan Boreyko is one of the assistant professors within the department and thinks that this tiny beetle and its evolutionary beneficial shell are the key to combating frost created with condensation; something that can be hazardous when the temperatures start to drop. According to Boreyko, only a single droplet of water needs to freeze to start the frost process, which requires a chain of connected droplets to be able to spread. The engineers realised this and set out to create a dry area around each droplet, breaking the chain so that the spread of frost was contained. This means that if this technology is applied to essential areas of machinery such as plane windscreens and wings, we could see the reduction of frost spreading on the parts, which could make the machines dangerous to operate. We can&apos;t wait to see how this new knowledge is applied to the engineering world! Who knows how our range of springs and bespoke pressings will be affected by it in the future! Speaking of springs and pressings, if you require any further information on any of the products that we supply here at European Springs, don&apos;t hesitate to get in touch with us by calling 0208 663 1800 and a member of our team will be happy to help you.